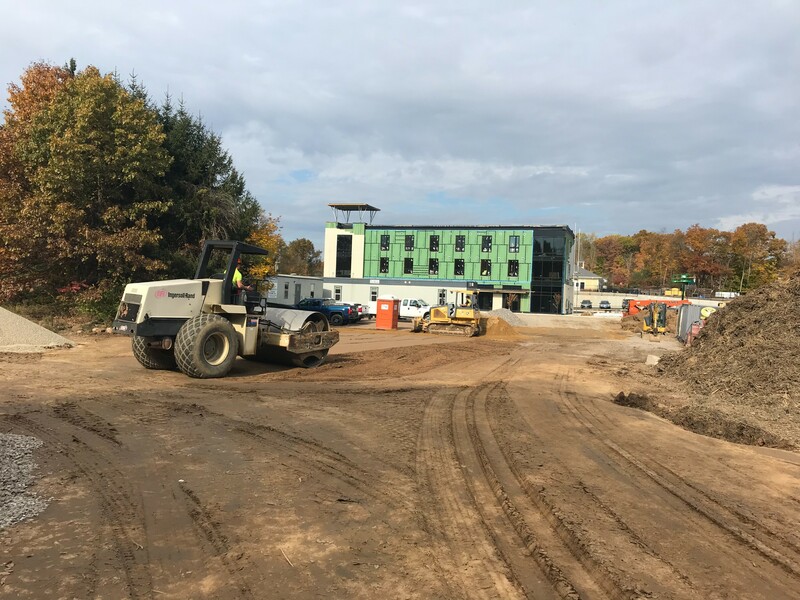 Richards Corporation is currently working for Newfield Construction to construct a new Town Hall and Police Department for the Town of East Hampton. The work includes clearing and grubbing to build the new building, paving, concrete sidewalks, and drainage work. Richards Corporation was contracted through O & G Industries to prepare the ground for the construction of a new school that is approximately 218,000 square feet. We are performing the sitework which includes installing new site utilities, site clearing, blasting, paving, aggregate piers, granite and concrete curbs, and the athletic fields.